If Obama hadn't supported the US hockey team, they'd have won the gold. The Girl Scout Cookies are in! 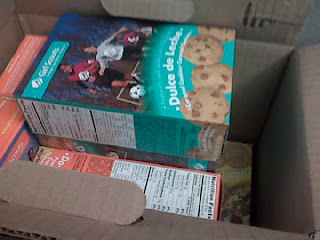 The Girl Scout Cookies are in! Wife is in charge of ordering the ones with chocolate (Thin Mints, Tagalongs, and Samoas). I did my part. Doctor tells Obama that he drinks too much. I saw a report of a survey that said 26 pct of Americans get news via phone. My first thought? That's scary. My second thought? That I was reading it on my BlackBerry. Bring our troops home from Haiti! Chile earthquakes are a bigger threat! Everyone's talked about the Olympics for two weeks. Okay, I'm convinced already! I'll watch. When do they start? Jake Tapper reported that Robert Gibbs read from a New York Times op-ed during a press briefing. Which proves that the New York Times doesn't just repeat Democrat talking points, they write them. Obama's TelePrompTer has a mastery of the English language; Obama has a mystery of the English language. If we don't pass health care, global warming will freeze the planet!!!1!!11! !eleventy!